I swear it was just summer, but Canadian Thanksgiving is THIS weekend. In the spirit of this holiday, I have teamed up with 6 incredible shops with a giveaway contest for our much appreciated followers! Each shop participating in this giveaway produces high quality, ethically made, trendy baby and child clothing and accessories. It is SO nice to see the local market flourish and I'm loving the amount of consumers who care about purchasing from these small shops, rather than clothing produced in overseas sweatshops. Amanda and Jeff are a husband and wife team that found inspiration for Minimoc after hand-making a pair of mini moccasins from leftover scraps of leather from their wedding party gifts. After gifting a few pairs, Amanda started receiving orders and they have since been working hard to improve their designs and grow their company. Founded by two sisters, Eleanor and Angel, in Vancouver, Canada, Loulou Lollipop creates modern, hip and consciously-designed hand-made silicone teething jewelry. The idea of making their own line of teething jewelry started back in 2014 while searching for safe and stylish accessories suited for chewing and tugging. Loulou Lollipop jewelry has been tested by an approved, independent lab to ensure all designs and beads meet and exceeds the standards of Canada Consumer Product Safety Act and US Consumer Product Safety Commission. Jewelry is intended to be worn by adults. It is NOT a toy. Two moms, Ashley and Kristin, from Maple Ridge, BC established King and Sage in July of 2015. Once these two fashion lovers had kids of their own, it was no doubt their kids would need to reflect their style. What better way to do that than create your own line of tees?! 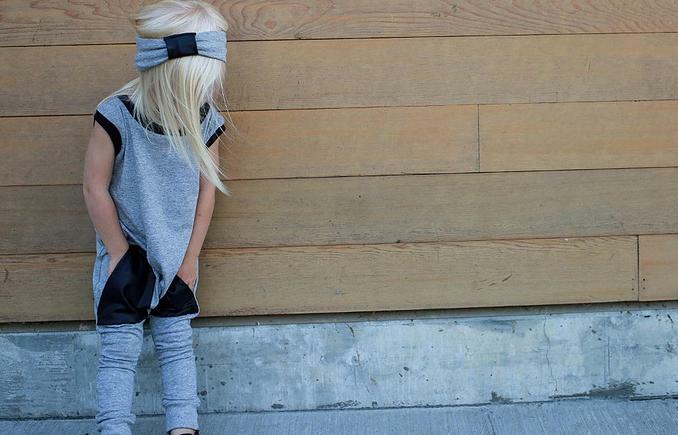 This Vancouver based small business creates all of the latest trends in baby and kids wear. Creator and owner of Tiny Button Apparel, Jamie Nicholl, wanted environmentally friendly clothing with no harsh dyes or chemicals for her own first child. Finding this type of clothing was hard to locate, which ultimately lead to the creation of Tiny Button Apparel. After three kids (in 3 years!) and three ugly baby books, Lesley decided to survey other moms to find out if they liked their baby books. As it turned out, most people she heard from felt their baby books lacked style. Mushybooks was created to give moms and dads an option that aren't the typical 'pink and blue.' Lesley understands that finding the time and energy to fill in a baby book can be challenging. That is why each page has been carefully and beautifully designed to help make you successful in filling in your Mushybook. Self-taught sewer and creator/owner of The Little Moore Shop, Jamie Moore, has single-handedly designed and produced an entire line of trendy baby and toddler clothes. All merchandise is made in Surrey, BC, and the fabrics are of incredible quality and amazing prints. Don't miss out on this amazing chance to scoop up free swag from these stellar businesses.